Yes, it's true, you know how it will be when the choir sounds. "They will stand in rows - immovably, holding hands with a wall of folders," my friend said. There was nothing to watch, he could listen without eyes. 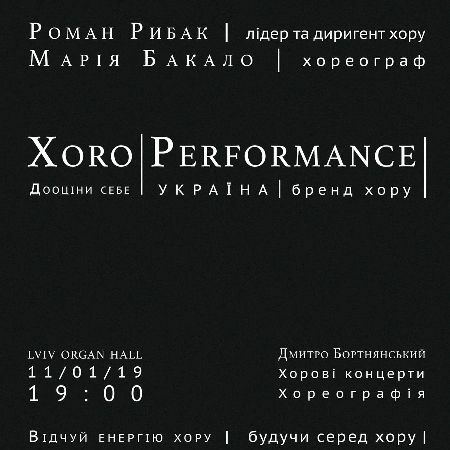 On January 11, in the Organ Hall you will be able to be among the choir, in the epicenter of energy. Watch what it is! To be surrounded by singers and dancers it’s an extra challenge.In a world where there is a time of chase, energy is a valuable resource.I am convinced that you can imagine how much energy gives the chorus, not concealed in the classical form.Come and charge!